The ski resort of Chacaltaya, at 5,421 meters above sea level, is (or was) the highest in the world. Over the years, Bolivians enjoyed this European-inspired sport in the heart of the Andes. These days, however, there is nothing of his glory years. It looks more like an old abandoned shelter. People used to ski and sledge, some visitors just like to enjoy the white mantle of this mountain, sadness I remember when I take the first steps in skiing on this track. The shelter used to be always surrounded by a lot of snow, but now the reis nothing but a rock around and a neglected shelter. It is believed that the snow-capped Chacaltaya is 18,000 years old. Bolivian scientists measured it in the 1990s. Obviously the speed of its melting is an indicator of climate change,which is directly related to the glaciers of the Cordillera Real. What used to be a center for athletes and tourist attraction of La Pazis now a lonely mountain with rusty machinery, an empty cafe and a cabin that falls apart. A recent study by the Stockholm Environment Institute suggested that the temperature of the region was centered half a degree in the period from1976 to 2006. 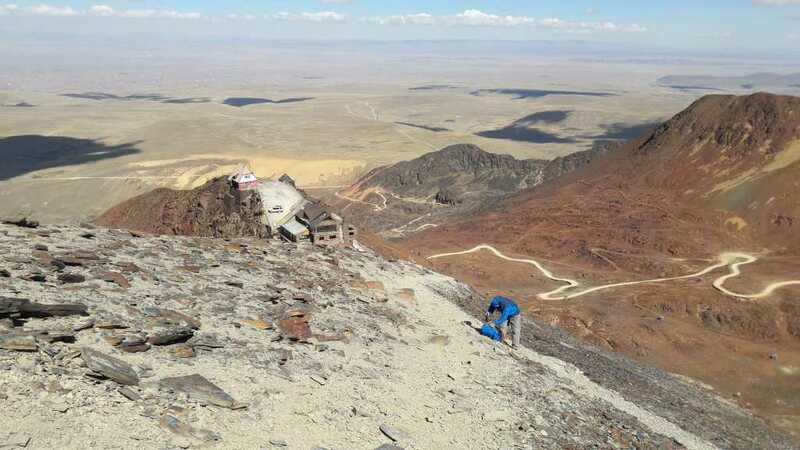 It is believed that the proximity of the city of La Paz and the toxicfumes emitted by hundreds of miles of vehicles contributed to the melting ofthe glacier. Currently Chacaltaya is sometimes covered with a white blanket of snowin the rainy season (from December to March) The Marvelous view of the city of La Paz and El Alto, it is also a magnificent view point to appreciate the magnificent Huayna Potosí. The desolation of Chacaltaya contrasts with the bustling streets ofpeace. In recent days an environmental friend visited the ski center of Chacaltya our company gave information about climate changes and melting glaciers. As mountaineers, climbers, mountain lovers, clubs and the community ingeneral, we must contribute and raise awareness about this problem.